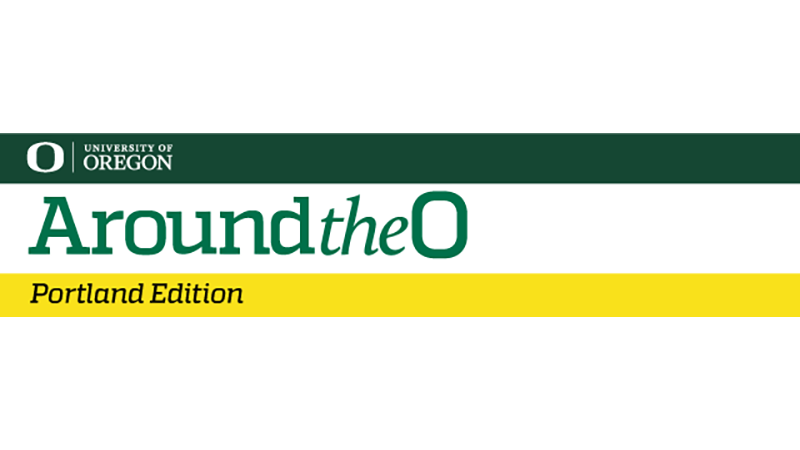 A new Portland-focused edition of the Around the O email newsletters launched Monday, bringing news of the University of Oregon to Portland-area alumni, faculty and staff, donors, and friends. The email will go out the second and fourth Mondays of each month and focus on stories about UO Portland academic programs, students and faculty, events, and alumni. The first edition featured a welcome by Jane Gordon, vice provost for Portland, and stories that included the upcoming Oregon Economic Forum and a Ukrainian Fulbright scholar starting in the School of Journalism and Communication’s multimedia journalism program. Portland faculty and staff and a select group of other UO employees will receive the emails. For more info about the Around the O emails and to opt-in to the Portland edition or manage your subscriptions, visit https://around.uoregon.edu/subscribe.